Airfares Increase Today! How You Can Offset The Increase? Airfares on several major US airlines increased today, led by Southwest Airlines. United, American and Jet Blue quickly followed suit. Because these airlines account for such a large percentage of flights within the US, other airlines are likely to raise fares in the near future. This will be the fifth major airfare increase this year. 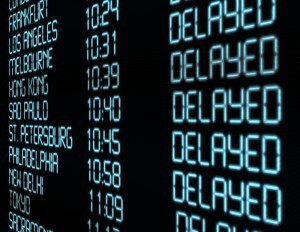 Taking connecting flights as opposed to non-stop flights can save you a lot of money, and give you more options, but delays and missed connections can cause frustration and lots of lost time. Travel Expenses You May Not Be Expecting! PLEASE VOTE – Smart Park and Expresspark Nominated For Small Business of the Year! Smart Park and Expresspark have been nominated for Small Business of the Year by the Delaware County Chamber of Commerce! Please go to www.facebook.com/DelcoChamber and vote for Smart Park / Expresspark! Hurry, the deadline for voting is April 1. We thank you in advance for your support! What Effect Will Government Budget Cuts Have on Your Upcoming Air Travel? The Transportation Department stands to lose nearly $1 billion as a result of budget cuts, through fiscal year end, if Congress doesn’t act by Friday, March 1 to avert those cuts. These cuts will have a major impact on the FAA and the 15,000 air traffic controllers it employs. And that will have an impact on YOU! Bye Bye to Near Naked Body Images from TSA Full Body Scanners! If you had privacy concerns about being scanned by the TSA full body scanners at airports across the country producing near-naked body images of travelers, you will be happy to know that by June 1, 2013, they will be removed from airports across the country and “stockpiled” in a TSA warehouse. 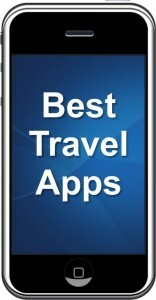 Best Travel Apps! Here are our picks, tell us yours! 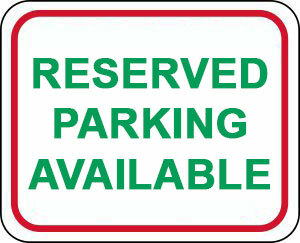 Expresspark South Lot – Closest Airport Parking Facility from Delaware and Points South!